Once upon a time in the enchanting city of Miami, lived two girls and a cupcake. 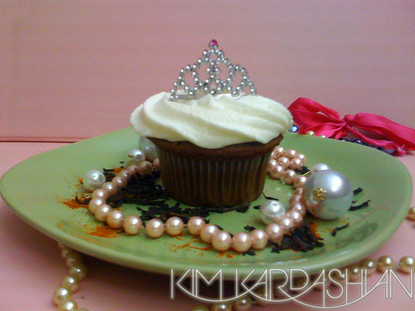 One night while baking dozens and dozens of cupcakes they decided to sneak in an episode of Keepin' up with the Kardashians, through the laughter and the giggles was Kim enjoying her chocolate cake and it was then that the Tiara cupcake was born! Every Sunday before the girls tune in to the Kardashians they wear their tiaras and devour Kimmy's Tiara cupcake.